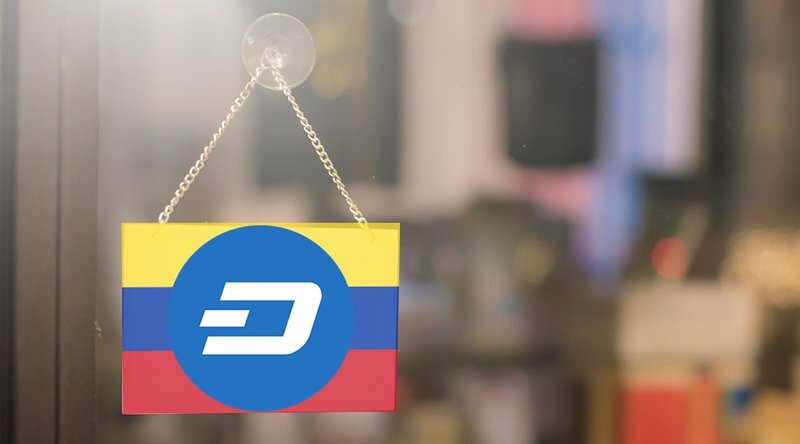 Dash is establishing itself as one of Venezuela's most popular cryptocurrencies. Bitcoin may still be king on the international scene, but in South America’s northernmost country, dash is vying for superiority. And, according to Latin American exchange Cryptobuyer, it has all but usurped bitcoin in the region. Given cryptocurrency’s increasing popularity as an alternative to a crippled national currency in the bolivar, it may come as a surprise to hear that merchants advertise their acceptance of dash while under the eye of what could be considered a dictatorial regime. But Valenzuela claimed, contrary to popular belief, that cryptocurrency use is quite open in the country and has only expanded with the advent of the petro, Venezuela's national cryptocurrency. 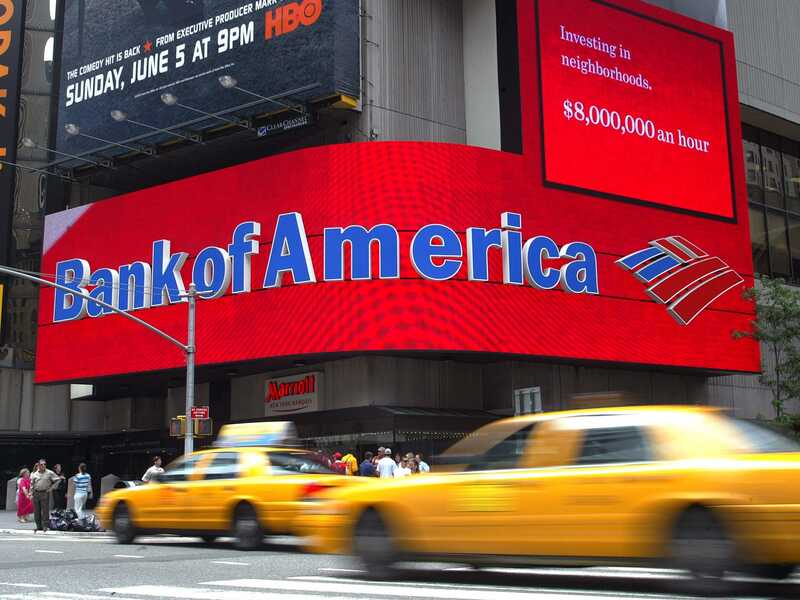 Bank of America hired two top bankers to its Americas Media & Telecom Investment Banking business. Sam Powers will join in the fall as head of Americas Media & Telecom Investment Banking. Randy Russell recently joined BoA as a managing director in Media & Telecom. Bank of America has hired two veteran bankers to its media & telecom business, according to an internal memo viewed by Business Insider. Sam Powers will start in the fall as head of Americas Media & Telecom Investment Banking. He's joining the firm from UBS where he led the Americas TMT group, advising on deals for clients like Viacom and TPG. He will join Randy Russell, who recently came on board the firm as a managing director in the group. Previously, he was head of Americas Media & Telecom at Deutsche Bank and advised clients like Dish and Verizon. "The addition of Sam and Randy to our global Media & Telecom practice reflects the significant momentum we are experiencing in this space as we continue to win key mandates and grow our market share," wrote Jack MacDonald, head of Global TMT Investment Banking, in the memo. "They bring nearly 40 years of combined industry experience and leadership to our practice." The additions to BoA's investment banking business come amid a deal frenzy in the media and telecom space. AT&T is attempting to close out an $85 billion megamerger to acquire Time Warner, and Disney is primed to acquire 21st Century Fox assets for $71 billion. Deutsche Bank is hiring nearly 800 new university graduates globally in 2018, its second highest number ever and 25% more than last year. The German lender is bringing more analysts in corporate finance than in sales and trading. The hiring comes as Deutsche surprised investors last week with a higher-than-expected profit for the second quarter under new CEO Christian Sewing. 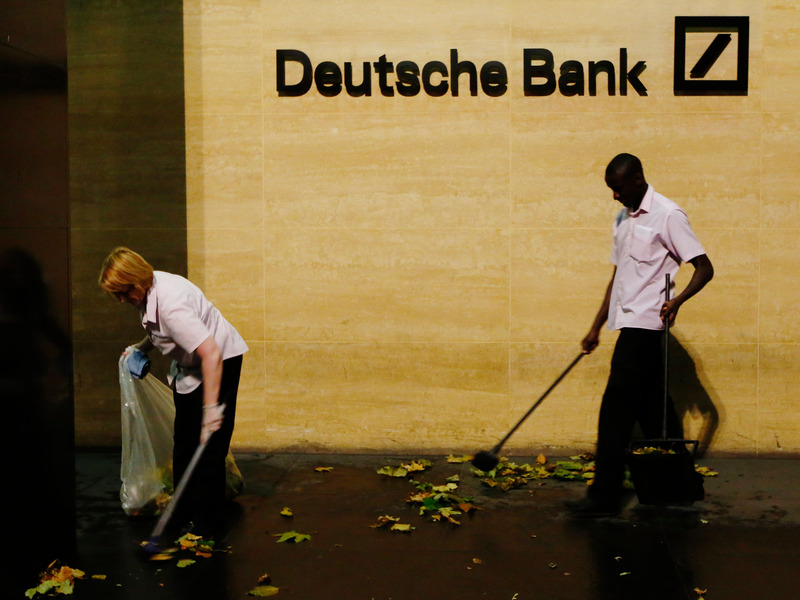 Deutsche Bank, which has been battling bad news for months, is now in hiring mode. German lender has hired almost 800 new university graduates globally this year, its second highest number ever and 25% more than last year, according to internal figures seen by Business Insider and confirmed by a bank spokesman. The bank held orientation for the class last week. The hiring comes as Deutsche surprised investors last week with news that it plans to report a higher-than-expected profit for the second quarter under new CEO Christian Sewing. Deutsche has seen key traders leave in the last few months amid plans to cut up to 7,000 jobs at the bank by the end of 2019. Roughly 27% of Deutsche's incoming class is made up of bankers, compared to 16% of traders, providing a window into how the bank's strategy is developing. Deutsche's revenue from stock and bond trading is down 15% for the second quarter, compared to big gains from US banks. The bank will welcome 774 graduates this year, compared to 619 last year, according to the figures. In 2016, the bank added 813. This year's class counts 211 in corporate finance, 177 in technology and 128 hires in global markets. Technology hires account for 23% of the class, down from 30% last year. The percentage of women in the class is 40%, up from 37% last year. Some Uber drivers are reportedly falsely reporting riders for vomiting inside their vehicles, the Miami Herald reports. The scam has been dubbed "vomit fraud." Some drivers are reportedly sending false pictures to Uber's management, prompting fines as high as $150 for some customers. Uber told Business Insider they are "evaluating" the processes and technology of cleaning-fee claims. Some Uber drivers are reportedly charging customers $80 to $150 after falsely reporting that riders vomited inside their vehicles, according to a Miami Herald report. The scam originates out of a mandatory "cleaning fee" that Uber charges customers if they throw-up inside a driver's vehicle. The sham seems simple enough. As detailed by the Miami Herald, the Uber driver sends false photos of the incident to Uber management, who then initiates the fee. Uber's fees vary, as a spilled drink by passengers is $20, while vomiting in or on the car is between $40 and $80. If a passenger causes "significant amounts" of blood, urine, or vomit to affect the interior, a $150 fine is assessed. 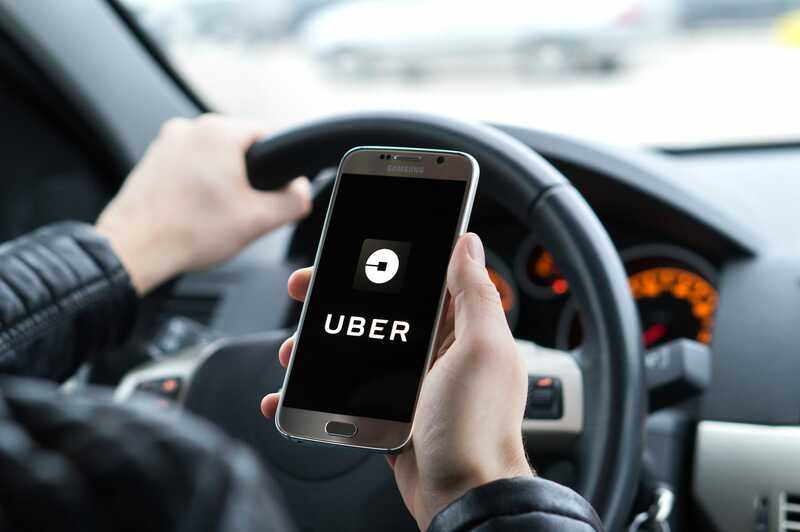 In a statement sent to Business Insider, an Uber spokesperson said, "Participating in fraudulent activity of any kind is a clear violation of our Community Guidelines. We are constantly evaluating our processes and technology related to these claims and will take appropriate action whenever fraud may be detected." The ride-hailing company could not give Business Insider an exact number of fraud claims, but said that most cleaning fee reports are legitimate and that when Uber does find a confirmed case of fraud, appropriate action is taken which includes the removal of the driver. Uber encourages riders to report any suspected cases of fraud immediately. In a statement sent to el Nuevo Herald, Uber added, "With 15 million trips a day, Uber is unfortunately not immune to these types of incidents." As noted by Uber's guidelines section of their website, vomiting can also lead to a loss of ridership and use of the ap. Uber's help-website says, "Riders are responsible for damage to the interior or exterior of a vehicle caused by incidents such as vomiting or food spills." The Miami Herald reports of incidents where drivers work together to bring fees on a single customer to as high as $300. The report includes incidents of passengers being wrongfully kicked off the app following a false vomit submission sent by the driver. On Twitter, some users expressed frustration with how the company's customer service department is handling complaints of vomit fraud. So I just heard of an @Uber scam called “vomit fraud” where the driver can claim you vomited in their car, slap you with a cleaning fee of up to $150, & Uber’s notoriously unreachable customer service may or may not refund you after hella hoopla. Make sure y’all check receipts! Uber drivers are being blasted this morning in numerous articles for their vomit fraud scams. Three weeks ago I was a victim in Houston! Only after media threats would they refund me. Read the Miami Herald's full report. The crypto universe has spoken. They want an SEC-approved bitcoin ETF and they want it now. Rick Rieder is worried about liquidity. According to the chief investment officer of global fixed income at BlackRock, the retreat of central banks from credit markets could worsen liquidity, or complicate how smoothly other investors are able to do the same. Rieder, who oversees $1.9 trillion in assets, has been voicing this concern for several months as central banks reduced their bond purchases. Back in January, the Bank of Japan said its balance sheet shrank month-on-month for the first time since it started buying government bonds, equity exchange-traded funds, and other assets in late-2012. In June, the European Central Bank said it was set to end the €2.5 trillion ($3 trillion) bond-buying program known as quantitative easing that it initiated after the eurozone debt crisis. The Fed continues to slowly unwind its $4 trillion-plus portfolio of bonds. As central banks work quietly and slowly, more powerful forces are brewing in the foreground, Rieder said in a recent note. Barclays has hired a new electronic equities executive as the bank continues to invest in its fast-growing stock trading business. Kevin O'Connor is joining Barclays equities team as head of electronic equities origination for the Americas, the British lender announced Monday. O'Connor joins from Credit Suisse, where he worked in the global markets division as the US head of sales for Advanced Execution Services — a role in which he oversaw sales, marketing, and distribution strategies for the electronic products in the Americas. The new hire further bolsters Barclays roster as it looks to add market share in its cash equities business. Bitcoin companies have a branding problem. The nascent market for digital coins is known for its spine-tingling volatility and hacks. That's part of the reason institutional investors don't trust firms across the landscape with their money. But crypto service providers and exchanges are trying to lure in big money by shaking off their scrappy roots and holding themselves to Wall Street standards. To that end, many are partnering with 'Big Four' accounting firms to acquire a so-called SOC2 certification, a way to prove to clients that they have the proper functioning security systems in place to keep funds secure. For the third time, engineering students from the Technical University of Munich won SpaceX CEO Elon Musk's Hyperloop Pod Competition. The event drew engineers from all over the world and focused on achieving top speed. WARR Hyperloop won the competition by reaching 290 miles per hour, exceeding Virgin Hyperloops One's speed record of 240 miles per hour set last year. A group of German engineering students won the third SpaceX Hyperloop Pod Competition on Sunday, as their prototype pod shattered speed records and raced through a nearly mile-long tunnel at 290 miles per hour. WARR Hyperloop, from the Technical University of Munich, won first place for the third time in a row and simultaneously set new speed records, topping out at 290 miles per hour. This year's competition was exclusively focused on developing maximum speed pods, with the only requirements being that all pods be self-propelled as they raced to see who could travel the fastest down a 0.8 mile long test track tunnel from a standstill. The annual competition drew 20 entrants from all around the world, and was hosted at SpaceX headquarters in Hawthorne, California. SpaceX CEO Elon Musk attended the event, along with his partner, Grimes, the Canadian pop star. 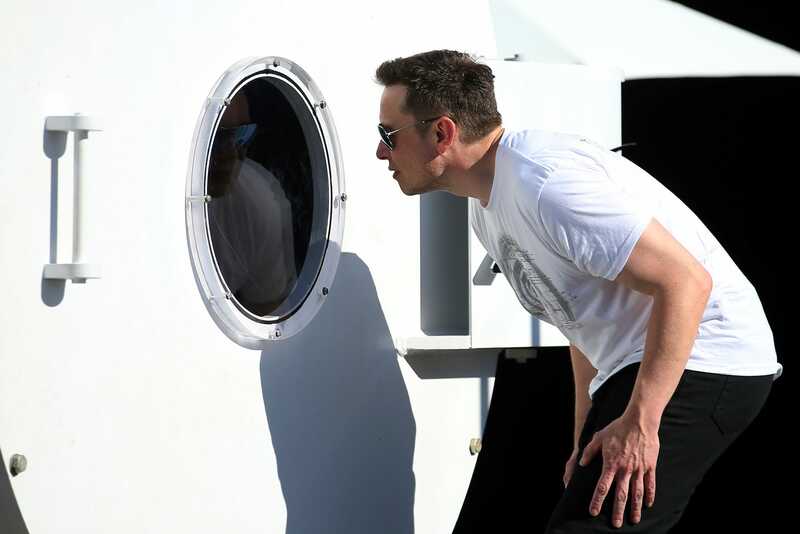 Originally announced in 2015, Musk's annual Hyperloop Competition seeks to cultivate engineering talent while simultaneously developing innovations for a futuristic transportation system. It is the first competition of its kind anywhere in the world. This year, the event had a convivial feel, as The Verge reports an '80s cover band called the Spazmatics played old songs while nearby university students hung out in the sun, enjoying the music and choice of food trucks. Musk himself made an unscheduled appearance with Grimes and his five young sons, chatting with students and engineers alike. "This is really the first opportunity to create a new mode of transport," Musk said, according to The Verge. "That’s really what this competition is about: things that could radically transform cities and the way people get around." WARR Hyperloop came into the competition with ambitious goals. Last month, in a press release, they announced intentions of having their pod hit 378 mph (600 kph). Their 2018 pod was designed with a smooth, black aerodynamic shape–one smaller than previous models–and used eight small electric motors that produced 240 kW of energy. By hitting 290 mph, they bested the speed record set last year by Virgin Hyperloop One’s pod, which topped out at 240 mph in December. Aside from WARR Hyperloop, other finalists qualifying for the competition were teams from Delft University from the Netherlands and EPF Loop from Switzerland. The Massachusetts Institute of Technology (MIT) features the oldest and perhaps best-known university-sponsored blockchain development lab in the world. Since 2015, the MIT Media Lab’s Digital Currency Initiative has brought together some of the space's leading independent developers with MIT faculty to extend the development of such applications as the Lightning Network. Halfway into 2018, some of the world's top universities are joining MIT and vetting initiatives of their own. Stanford's now month-old blockchain R&D lab was launched with a bit of a jump start. Co-directors Dan Boneh and David Mazières have three years of blockchain-focused research and academic papers to set the lab into motion. Both directors are computer science professors at Stanford and have taught courses on blockchain technology since 2015. As these labs begin operating in the background of academia, these professors can take the work they've done in the classroom and work toward tangible developments. Barclays has hired a new electronic equities executive from Credit Suisse, the latest in a string of investments in its stock-trading franchise. Kevin O’Connor is joining Barclays equities business as head of electronic equities origination for the Americas, the British lender announced Monday. Barclays has been investing heavily in its equities franchise since Stephen Dainton took over as global head in September. It has added about 25 managing directors in its markets business since then. Several of those have strong connections to Credit Suisse, where Dainton previously worked. Kevin O’Connor is joining Barclays equities team as head of electronic equities origination for the Americas, the British lender announced Monday. “I am confident Kevin’s appointment will help us build on momentum in our cash franchise by accelerating the development of differentiated products and services, and by driving greater client penetration," Nas Al-Khudairi, Barclays' global head of electronic equities and European head of cash equities, said in a statement. O'Connor is the latest in a hiring spree of high-level executives conducted by Stephen Dainton, who joined in September from Credit Suisse as global head of equities. While the British bank is still in the early innings of its equities revamp, it's seen early returns on its investments. While many banks had strong equities performance in the first quarter, no bank grew more precipitously than Barclays. The bank saw its equities revenues shoot up 43%, to $827 million, compared with $577 million in the first quarter of 2017, with derivatives and financing leading the way. It was the world's fastest-growing equities business in the first quarter, according to public earnings results. Most American banks reported strong equities performance in the second-quarter earnings results this month, as well. 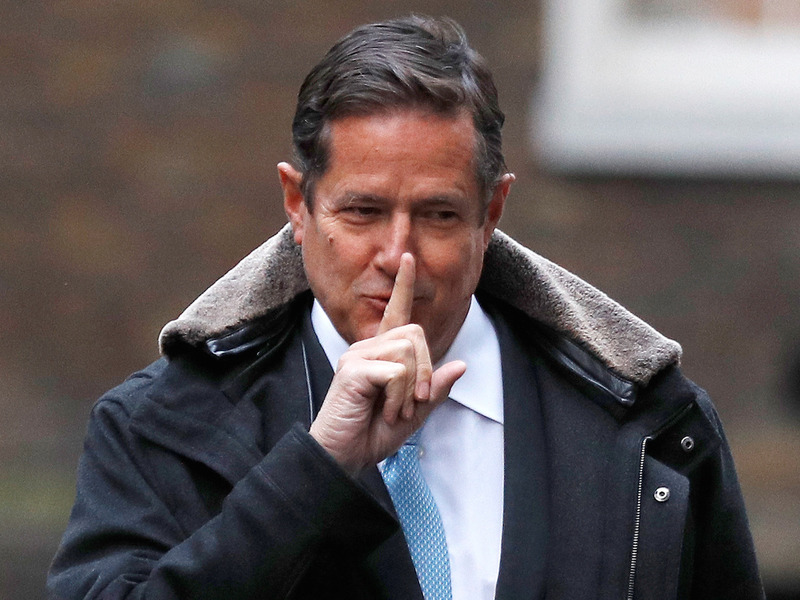 Barclays will report second-quarter earnings August 2. China's Xinjiang autonomous region is set to halt "illegal" bitcoin mining operations by the end of August, a government agency has confirmed. 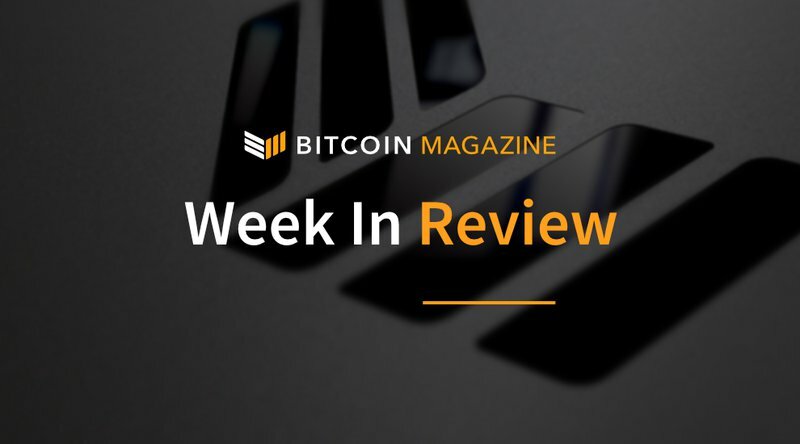 Bitcoin's rally to two-month highs has more substance than initially thought, the BTC dominance rate indicates. Mexican President-elect, Andres Manuel Lopez Obrador, sent a public letter to Trump urging them to work together as two leaders who put their citizens and voters before the establishment. He asked Trump to help bring NAFTA talks to a close, which he said have damaged economic confidence in Mexico through uncertainty. "I am encouraged by the fact that we both know how to do what we say, and we have both faced adversity with success… We manage to put our voters and citizens at the center and displace the establishment." Obrador wrote in the letter that was delivered to Trump at talks in Mexico on Sunday. Mexican President-elect, Andres Manuel Lopez Obrador, has sent US President Donald Trump a letter urging him to help bring an end to NAFTA negotiations, saying the pair could work together as two anti-establishment politicians that put their "voters and citizens at the center" of what they do. Mexican officials disclosed existence of the letter on Sunday, after President Trump received it during a meeting between senior officials of both countries held in Mexico, Reuters reported. Lopez Obrador became Mexico’s President elect in a landslide victory on July 1, on a socialist platform advocating financial aid for students and the elderly, energy reform, slashing the wages of politicians and increased social spending. Lopez Obrador's appointed foreign minister, Marcelo Ebrard, read the letter at a news conference with Obrador, and said the incoming government’s aim is to "start a new chapter in the relationship between Mexico and the United States, based on mutual respect." Trump has spoken against Mexican immigration and trade, and Obrador pledged to put Trump "in his place" during his campaign, but despite this history and their differing politics, Obrador said he is optimistic about their working relationship, Reuters reported. "I am encouraged by the fact that we both know how to do what we say, and we have both faced adversity with success… We manage to put our voters and citizens at the center and displace the establishment." Obrador wrote. The Mexican President, who will take office on December 1 called for an end to the NAFTA free trade talks which have dragged on and which Obrador said have damaged economic confidence in his country. 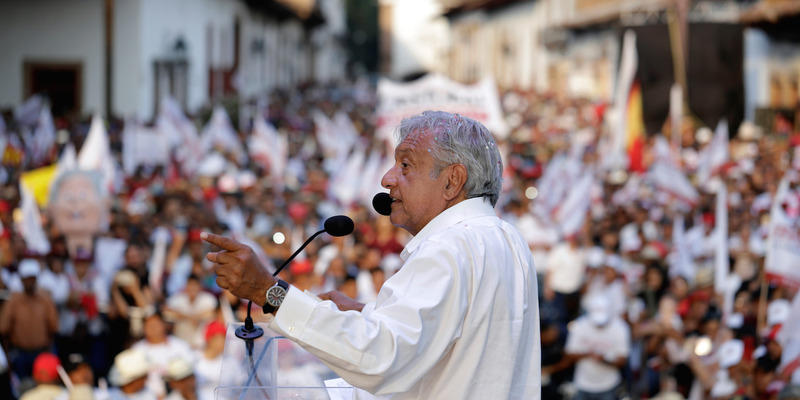 "Prolonging the uncertainty could stop investment in the medium and long-term, which clearly would challenge economic growth," Lopez Obrador added in his letter. The leader wrote that he was willing to back an "initiative and budgetary proposal to contribute economic resources and experiences in this joint effort." 1. Finance ministers and central bankers from the world's largest economies said on Sunday that heightened trade and geopolitical tensions risk derailing global growth and called for greater dialogue, according to the final communique of a G20 meeting. The weekend talks in Buenos Aires come amid an escalation in rhetoric in the trade conflict between the United States and China, the world's largest economies, which have so far slapped tariffs on $34 billion worth of each other's goods. 2. Amazon made a bleak prediction about Brexit in a behind-closed-doors meeting with the UK government last Friday, according to The Times. Douglas Gurr, Amazon's UK country manager, told a meeting of business leaders that if Britain crashes out of the European Union without a trade deal, it will spark "civil unrest" within two weeks. 3. The dollar declined on Monday against major currencies to its lowest in more than two weeks after U.S. President Donald Trump criticized the Federal Reserve's tightening policy, while stocks slipped on fears of further trade protectionist measures. Trump, on Friday, lamented the recent strength of the U.S. dollar and accused the European Union and China of manipulating their currencies. 4. French President Emmanuel Macron reportedly referenced President Donald Trump's book "The Art of the Deal" while talking to Trump about the escalating trade dispute between the EU and the US. The exchange took place on the sidelines of the NATO summit in Brussels earlier this month. During a bilateral meeting, Trump and Macron began discussing the intensifying trade dispute between Europe and the US, sources familiar with the conversation told Axios. 5. Automotive giant Fiat Chrysler has a new CEO. Mike Manley was named on Saturday to succeed longtime Chief Executive Sergio Marchionne, one of the auto industry's most tenacious and respected auto chiefs, who fell seriously ill after suffering complications following surgery. 6. Mexican President-elect Andres Manuel Lopez Obrador sent U.S. President Donald Trump a letter calling for a swift conclusion to NAFTA negotiations and pledging his wish to reset relations between the two countries, Mexican officials said on Sunday. The letter was delivered during a recent meeting in Mexico with senior U.S. officials, and details were disclosed once Trump had received it, said Lopez Obrador. 7. Tech industry CEOs are bullish on the future of their companies, the sector, and artificial intelligence. But they're worried about the spread of nationalism, cybersecurity — and millennials. Those are some of the key takeaways from a new report by KPMG. 8. China's Commerce Ministry said on Monday it has launched an anti-dumping probe into imports of stainless steel billet and hot-rolled stainless steel sheet and plate from the European Union, Japan, South Korea and Indonesia. The move follows a complaint by Shanxi Taigang Stainless Steel , it said. 9. Oil prices were mixed on Monday as finance ministers and central bank governors from the G20 warned that risks to global growth have increased with rising trade and geopolitical tensions among other vulnerabilities. G20 finance ministers and central bank governors ended a meeting in Buenos Aires over the weekend calling for more dialogue to prevent trade and geopolitical tensions from hurting growth. 10. French IT services company Atos agreed to acquire Syntel in an all-cash transaction for about $3.57 billion, including net debt, the companies said on Sunday. Atos will pay $41 per share, which represents a premium of 4.78 percent to Syntel's closing price of $39.13 on Friday. Bitcoin continues to hold ground amid market sell-off with growing momentum to take out its next target of $8,000.